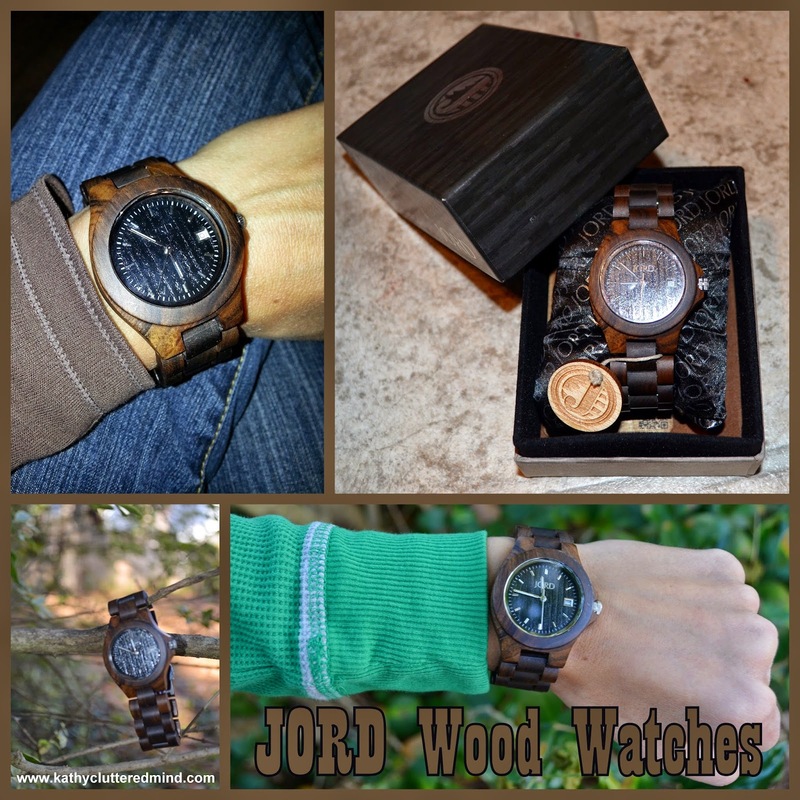 JORD Wood Watches is a locally owned St. Louis, Missouri company that designs and produces one- of-a-kind wooden watches that are made from sustainable materials, from all over the world. They offer a wide selection of men's and women's watches that are all made from wood! JORD is a relatively new company which is why you have probably not heard about them yet, so keep reading to learn more. It is very rare that I get asked to review a product that is adult in nature. 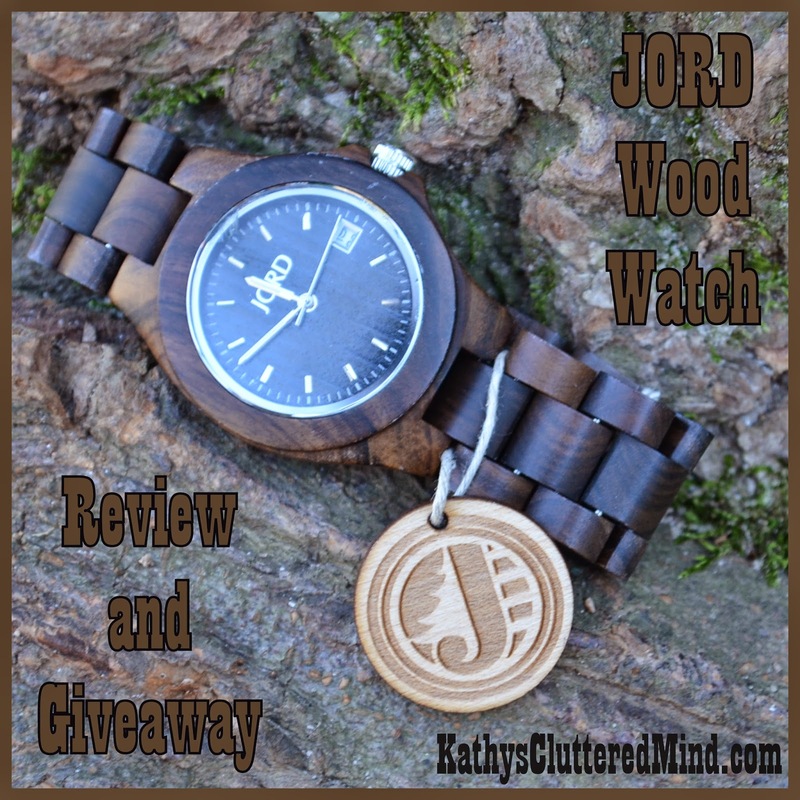 So when I was asked by JORD to review one of their beautiful wooden watches, I couldn't resist. Merry Christmas to ME! I have been addicted to unique watches ever since I was a child and I used to have quite an extensive collection. (over 30). Sadly since the advent of the cellphone my watch wearing days have slowly dwindled. My love for them however has never faded and whenever I am in a store that sells watches I cannot resist stopping by the watch counter to check out all the beautiful timepieces. The JORD wood watches though are unlike any watch I have ever come across before and the nature lover in me immediately fell in love. The JORD watches are handcrafted right here in the USA using all natural, untreated woods from all over the world including Maple, Sandlewood, Bamboo, Koa and Zebrawood. They are one-of-a-kind, very unique and extremely versatile. There is a great selection of choices which does make it very hard to choose which one to get! After checking out all the amazing designs, I finally decided to go with the Ely in Black. There are 5 styles available which have been designed with women in mind. The Ely watch is the smaller of the 5 and perfect for tiny wrists...like mine. It comes in 4 different wood options: black, maple, cherry and natural green/maple. Since I tend to wear dark colors I choose to go with the darker face and band option. The Ely watch features include a scratch resistant mineral face, Citizen Miyota Quartz Movement (with date display) and a sturdy stainless steel deployment buckle with push button. The band is 200 mm long and 21 mm thick and adjustable (I highly recommend taking it to a professional watch store to get it adjusted). I had to get 3 links take out on mine....my wrists are the size of a child's. I must admit I was a little concerned about the watches weight and bulkiness, because after all it is made from wood. But surprisingly it is extremely lightweight and not too bulky (even for petite wrists). Due to the natural materials JORD watches are splash proof and not intended for complete submergence in water. Also due to the nature of the wood chosen for each unique timepiece, the colors and grain pattern may vary. JORD watches come with 12 month material and workmanship defect warranty. The watch arrived very quickly and was safely secured around a little pillow inside a durable watch box. The watch box was wrapped in bubble wrap and then placed inside another sturdy cardboard box. I had one minor issue with my watch so I did have to contact JORD for assistance. Their customer service was impeccable and they immediately rectified the situation. They are a company truly committed to providing good quality and service. The JORD Wood Watches are the perfect addition to any watch addicts collection and will appeal to trendsetters, nature lovers, and fashionista's alike. If you have been searching for a unique gift for a special day or holiday then look no further, these wooden watches will fit the bill. They are definitely more than a watch they are a conversation piece and work of art! The Ely watch sells for $129 other wooden watches range from $120-$295. Plus shipping is FREE in the USA! New designs are added every couple of months. I would also like to take the time to quickly highlight a very special, limited edition baseball-themed watch in JORD line right now. JORD will donate 20% of the purchase price to the Pujols Family Foundation. This foundation was started by Albert Pujols a baseball player. The foundation helps those living with Down Syndrome and also helps the impoverished in the Dominican Republic. One winner will receive a $129 gift certificate plus free shipping from JORD to purchase a watch of their choice. Only the first entry is mandatory. Other entries are optional and give you extra chances. This giveaway is not affiliated with Facebook in any way. The winner will be posted on the blog and will be emailed. Winner must reply within 24 hrs with their contact information or another winner will be chosen.